According to Zillow’s 2016 Q4 Negative Equity Report, fewer homeowners are underwater on their mortgages. At the end of 2016, the level of homeowners underwater fell from 13.1 percent to 10.5 percent. 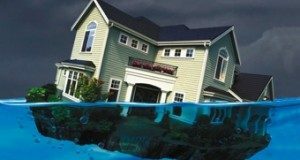 However, half of those remaining underwater owe at least 20 percent more than their homes are worth, and negative equity will continue to hold back the housing market after home prices return to pre-crisis levels. Home value appreciation has accelerated in the past few months and thousands have made it back into positive equity, but around 5 million remain in negative equity. "Negative equity is one of the most persistent reminders of the long-term losses suffered when the housing market collapsed," said Zillow Chief Economist Dr. Svenja Gudell. "Accelerating home value appreciation over the past few months was a blessing to owners who have been underwater since the housing bubble burst, but not all underwater owners were able to ride that wave to positive equity. We are in for many more years of elevated levels of negative equity. Even as median home values close in on peak levels reached during the housing boom, some people still face a long wait before returning to a positive balance on their home loans." Negative equity peaked at 31.4 percent in Q1 2012. After this peak, the negative equity decline slowed as homes that were only slightly underwater resurfaced when home values rebounded. Currently, Las Vegas negative equity is at 16.6 percent, and Chicago sits at 16.5 percent, the highest rates of negative equity among the largest U.S. metros. The top five metros with the lowest rates of home equity are all in the West Coast region: San Francisco, Portland, Los Angeles, Denver, and San Jose, California. 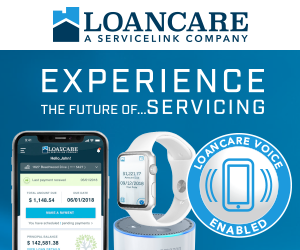 Zillow calculates negative equity by matching the value of a home to all outstanding mortgage debt and lines of credit associated with the home. Zillow’s report covers over 840 metros, 2,400 counties, and 23,000 ZIP codes.